In April of 1963, Martin Luther King, Jr. penned his famous “Letter from a Birmingham Jail.” Directed to his fellow clergymen but written as an open appeal, the letter contains some of Dr. King’s most famous words on racism, segregation, and his belief in the power of nonviolent civil disobedience. While this letter gave the world such rallying cries as “injustice anywhere is a threat to justice everywhere,” it also offers insight into Dr. King’s approach to discord that is still relevant today. Dr. King discusses being “cognizant of the interrelatedness of all communities and states,” arguing that “anyone who lives inside the United States can never be considered an outsider anywhere within its bounds.” Today, as then, we place amongst ourselves divisions that threaten the spirit and the letter of our American Republic. We retreat into an “us versus them” mentality, whether it’s black vs. white, left vs. right, urban vs. rural, or any of the other labels we put on ourselves and others. Dr. King stood between these lines, striving to hold our country to its proper course – to walk a true path of liberty and to do so together, united under our democracy. He also understood the importance of process in pursuing this course. 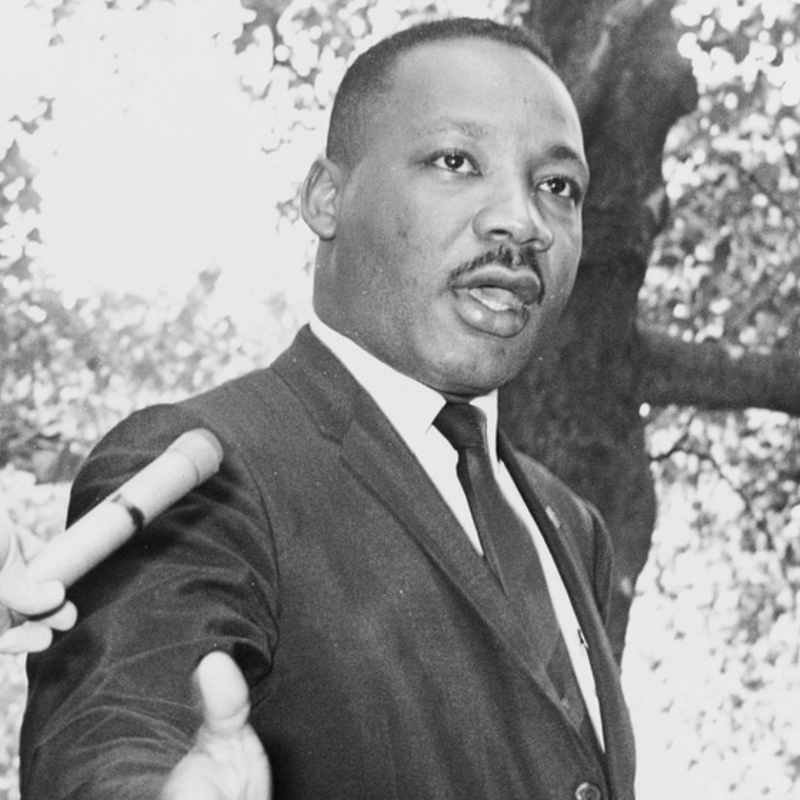 Dr. King describes a blueprint for those who see division and injustice and desire to overcome it: “Collection of the facts to determine whether injustices exist; negotiation; self-purifications; and direct action.” Throughout his letter, he provides context and extensive details of the world he witnesses. Rather than offering a fleeting opinion informed by incomplete or reactionary impulse, Dr. King repeatedly turned to a holistic perspective. So often today, we are quick to take up arms without giving prudent and critical thought to how best to overcome division. By no means should we take this as an endorsement of waiting things out or letting time run its course – that is quite to the contrary of Dr. King’s point. Instead, we should use this process to rapidly transition from monologue to dialogue. Characteristics of the world in which Dr. King wrote still exist today – division, anger, tension. Yet rather than retreating from the uglier sides of our society, Dr. King calls us to engagement. He discusses “a type of constructive, nonviolent tension which is necessary for growth. He believed in the power of direct action to “create such a crisis and foster such a tension that a community which has constantly refused to negotiate is forced to confront the issue.” The result is “to create the kind of tension in society that will help men rise from the dark depths of prejudice and racism to the majestic heights of understanding and brotherhood.” While division and polarization exist, we should not fear the tension they create. We should constructively confront our differences, engaging with one another in search of growth and understanding. The path of America has been imperfect. It is difficult to talk of liberty in one sentence, and then have to address slavery in another. The celebration of Martin Luther King Day reminds us both of how far we’ve come, and how far we have left to go. But Dr. King believed that this country could do more to become better Americans. To “transform the jangling discords of our nation into a beautiful symphony of brotherhood.” On this day, we at the Henry Clay Center believe and uphold these words of one of our country’s greatest statesmen. Let us all reflect on how we can participate in moving our nation forward, informed by the principles and wisdom of Dr. Martin Luther King, Jr.